With KakaoTalk dominating Korea’s mobile messenger market, Between has been cementing its foothold in the couples messenger niche. Now with half its users coming from abroad, the mobile app is braving ground in Southeast Asia. KakaoTalk largely failed in Southeast Asia and Japan. With LINE, WeChat, WhatsApp and other messengers already battling over the markets with heavy marketing dollars and local partnerships, Korea’s No. 1 messenger was too late to the scene, leading it to retreat and focus on its home turf in its Daum Communications merger last year. But Between, Seoul-based VCNC’s flagship messenger launched in 2011, has found strength as a secondary app, separate from users’ “noisy” primary messengers and stuffed with couple-friendly features like photo albums, shared calendars and lovey-dovey emoticon stickers. Riding on organic growth overseas, it has opened offices in Japan, Taiwan and Singapore, with its strongest new market in Thailand. “We’re the first and biggest app in this area (of couples messengers), so we have to make the path. It’s really hard because there is no service we can benchmark,” Park said. It’s a rocky path. The company has retreated from its previous targets of Hong Kong, India and China to focus on growing where it has already planted seeds. Competition, especially in Japan, is encroaching. And despite raising over $4 million in funding, the start-up has yet to turn a profit through its sales of ads, stickers and e-commerce. The PC version it launched in October is moneyless. Last year it launched mobile e-commerce for the Korean market after deciding it had a sufficient user base. Months later it launched its PC supplement, following the trends of KakaoTalk and LINE upon user demand, but growth of PC usage has been so much slower than mobile that it hasn’t bothered to add the e-commerce function. Park said ads, which still generate seven to eight times the revenue of e-commerce, will remain its bread and butter for the time being, with sticker sales coming in second. Nonetheless, he is confident that the e-commerce strategy is showing signs of improvement. Between can zero in on pitching date-related goods and services to users or suggesting birthday and anniversary gifts, giving it the leg up on mainstream messengers with a sharper understanding of user demands, Park added. Now it is shifting from offering traditional goods like snack coupons to stuff couples like to do, like discounted tickets for movies and concerts. Separately, it has developed another app, Between Date, for users to recommend Korean date spots to each other. Expanding e-commerce to overseas markets is still far off. But Park said Between need not worry about funds running dry, as its investors including Softbank Ventures and DeNA believe it should collect sufficient traction before pushing for profitability. “We aren’t really hurrying to earn money because we have got investment, and have enough resources to be sustainable until we dominate users’ spending time,” Park said, though he stressed it was necessary to prove it can monetize in one to two years so it can fine-tune its marketing investments. Park sees reason to be optimistic on user retention. Whether it is the photo albums, the cute stickers or just the couple-ness of it all, users like the app enough to come back, even after they break up ― 75 percent of users return within nine months. And with a software revamp in 2013 boosting the performance speed, the app has seen usage time rise 20-30 percent to 17 minutes a day. Last year, when Between had 6.6 million downloads, Park told The Korea Herald that a mobile messenger needed at least 10 million users to be viable. Now with 13 million users and still seeking profitability, he said he has changed his mind. As the company grows, Park said it will be vital to hold on to its core philosophy of providing an “emotional communication service” to enrich users’ relationships. For more information, visit between.us. 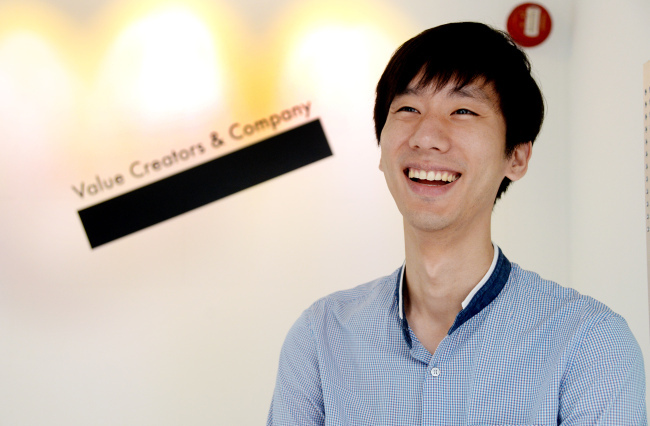 Start-up Seoul is a series featuring players in Korea’s tech start-up scene. This is the seventh installment. ― Ed.